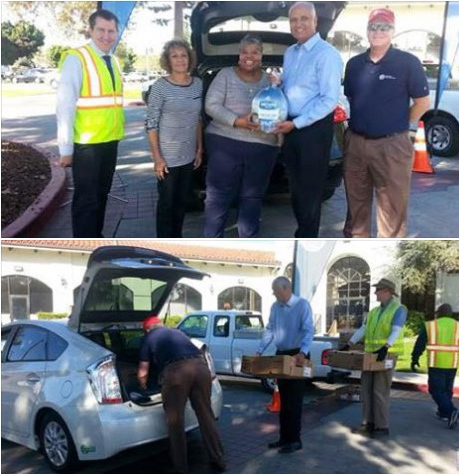 COVINA, CALIFORNIA –Nov 23, 2016 — Suburban Water Systems distributed over 850 turkeys to southern California non-profits on Tuesday, November 22nd, as part of the 26th annual “Operation Gobble” program. Coordinated by the California Water Association, Operation Gobble is a joint philanthropic venture between California water companies and local state legislators that delivers an estimated 30,000 turkeys to at-risk families throughout the state each Thanksgiving holiday. Since 1990, the program has paired the resources of the private and public sectors to benefit those in need. Participating investor-owned water companies, such as Suburban Water, provide turkeys and delivery services in partnership with local elected officials who offer expertise in directing the donations to community food banks, churches and other non-profit organizations. According to the latest study of the UCLA Center for Health Policy Research on hunger, 2.9 million Californians lack sufficient resources to feed themselves on a regular basis. Many of these residents are low income families that will not be able to afford a Thanksgiving meal. 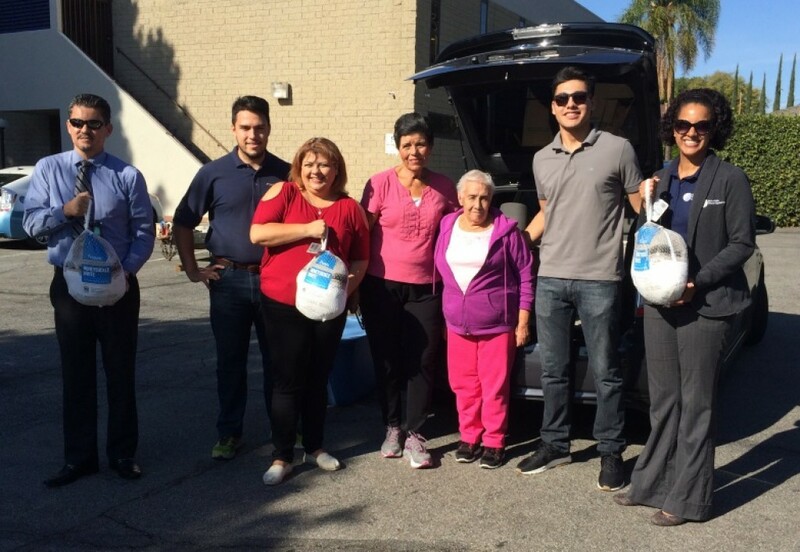 Suburban distributed 200 turkeys to Assembly Member Ling Ling Chang, 200 to Senator Ed Hernandez, 150 to Assembly Member Roger Hernandez, and 250 to Assembly Member Ian Calderon. Each legislator selected non-profits in their districts to receive the turkeys. Organizations receiving turkeys include food banks, senior centers, youth homes, churches, YMCAs, and other non-profit organizations. Suburban also makes direct donations to area non-profits.